Should you rent or buy a house? This is a question most of us will face in our lives, at least once, and it’s one that I’m constantly helping people answer. Realtor.com created a calculator that helps people compare the net cost of buying a home against the cost of renting over time. Net costs compare the total amount of money you would be spending over time, minus the potential value you might receive if you someday sell the property. Using the tool, you’ll see that the amount of time you plan on keeping the home has a major impact. To get more personal, you can customize the advanced options to crunch more specific numbers and evaluate more specific scenarios. 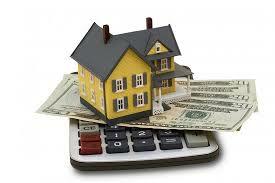 But keep in mind that a financial comparison is just one of many factors when deciding whether to rent or buy a house. If you have questions about whether you should rent or buy a house, contact me. I’ll be happy to help you weigh the pros and cons of each. I can also help you find rental property if that’s the best option for you financially.